GCSE results received by Merton teenagers continue to improve with a record 66% of students achieving 5 A*- C GCSEs, including English and maths – up four per cent on 2013 and 18% over the last five years. 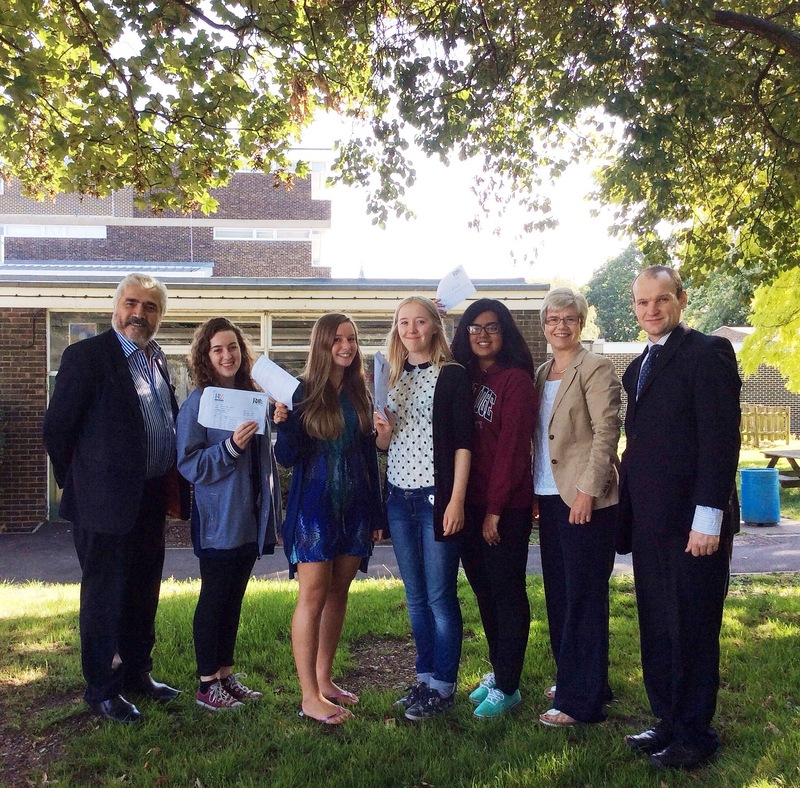 This year also saw 95% of students gain five A*-G grades. Schools across the borough celebrated with students who achieved top grades. The leader of the council, Councillor Stephen Alambritis and cabinet member for education, Councillor Martin Whelton visited Ricards Lodge School to congratulate star students Katie Sayer, who gained 10 A*’s; Poppy Bradshaw who achieved seven A*’s and three A’s; Daisy Zealey who gained nine A*’s, two A’s and one B and Aashna Nithianandan who achieved five A*’s and six A’s. Cabinet member for education, Councillor Martin Whelton said: “I am delighted that provisional figures show a record 66% of young people achieved 5 A*-C GCSEs including English and Maths – our best performance ever. Over the last five years, Merton schools have had some of the fastest improving GCSE results in England, taking them above the national average. Despite the increased challenges faced because of the changes to GCSEs, once again we have seen a further increase in our performance.